The Sun, in a birth chart, reflects our sense of identity, self-expression, source of creativity, and how we shine best! The Sun continually gains in importance and strength as we start the process of growing up and developing a clearer sense of who we are as individuals. The Sun symbolizes the archetypal image of the larger than life "Great Father" and also our only too human earthly father. To a large extent, the Sun symbolizes how we personally perceived our earthly, human father to be while growing up. Our childhood perception of "Father" may or may not have been based on reality. However, it still remains that the zodiac Sun Sign is where we're headed and contains the key to our sense of purpose and fulfilment as adults. However, when reading these descriptions, if they don't seem to be making much sense and/or describing your child - then find out what sign your child's Moon is located in and then also read the zodiac description for that sign. The descriptions contained here are general enough that they can serve the purpose of describing either the Sun or Moon in your child's chart. Never heard of your Moon Sign and that you had one? The Moon - in the birth chart - reflects where we find our greatest source of emotional security and feel the safest. The Moon is where we feel at home. The Moon is the most important point during the "Growing Up" years. 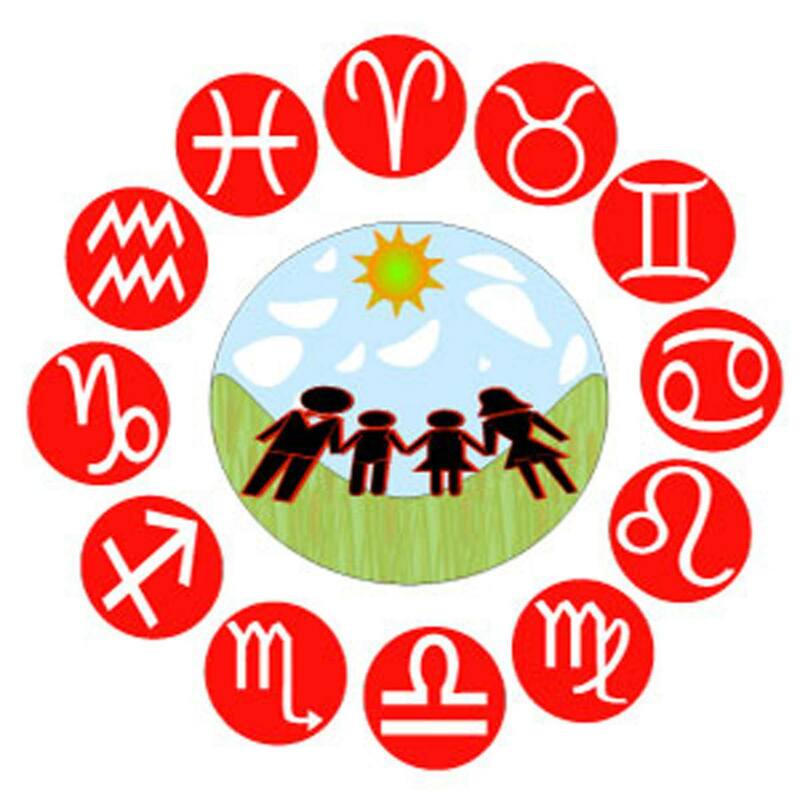 During the growing up years - especially between birth and the age of 7 - the zodiac positioning of the Moon is especially important in gaining a better understanding how your child acts, reacts, and thinks. The Moon symbolises the archetypal image of the larger than life "Great Mother" and also our only too human earthly mother. To a large extent, the Moon symbolizes how we personally perceived our earthly, human mother to be while growing up. Our childhood perception of "Mother" may or may not have been based on reality. The Moon reflects how we feel the most nurtured and thus contains the key to understanding how to help your child feel the safest, loved, and nurtured. Where Is Your Child's Moon? Chances are that you're clueless. However, determining where your child's Moon sign is "Child's Play" if you know where to look. The Moon is a very fast moving point on the birth chart - and so knowing the approximate time of day that they were born can often be important when calculating the Moon's zodiac position. The natal or birth chart is the horoscope chart we are born with. This chart is a snapshot of the planetary alignments, at our exact time of birth. The IVth and Xth houses of this chart relate to parental influences, while the IIIrd house represents our siblings.